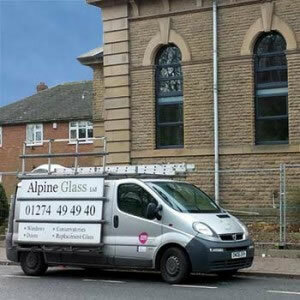 Founded in 2006, Alpine Glass have been installing windows, doors and conservatories into homes across Leeds, Harrogate, Skipton, Ripon, York and across West Yorkshire for nearly a decade. Our unique combination of industry expertise, trusted accreditations and exceptional customer service has served to cement our reputation as one of the best window installers in West Yorkshire. Offering everything from PVC casement windows, PVC sash windows, PVC bay windows, and PVC tilt and turn windows to timber sliding sash windows, as well as entrance doors, patio doors, french doors, bifold doors and conservatories and orangeries, Alpine Glass’s product range is truly comprehensive and suited to the demand of a variety of properties and projects. FENSA accredited and backed by the GGFI, our double glazing services are compliant with building standards and safeguard your money: unlike many other double glazing companies. That means you’ll be protected should a company stop trading before the expiration of the guarantee. 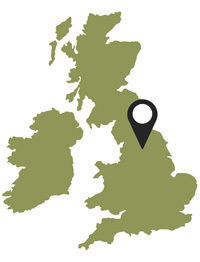 We even have a home improvement showroom in Bradford where you can come and inspect our products in person, in order to make sure that they meet with your requirements. Family owned and family-run, Alpine Glass is committed to providing exceptional customer service and care. We pride ourselves on our 24/7 support service which means that someone from our team is always available to answer any questions, or solve any problems you may have. No matter what the time of day: whether it’s early in the morning or late at night, the Alpine Glass team are always on hand to help you out. Find out more about the Alpine Glass range of windows, doors and conservatories by visiting our double glazing showroom, or send an enquiry to a member of our team.